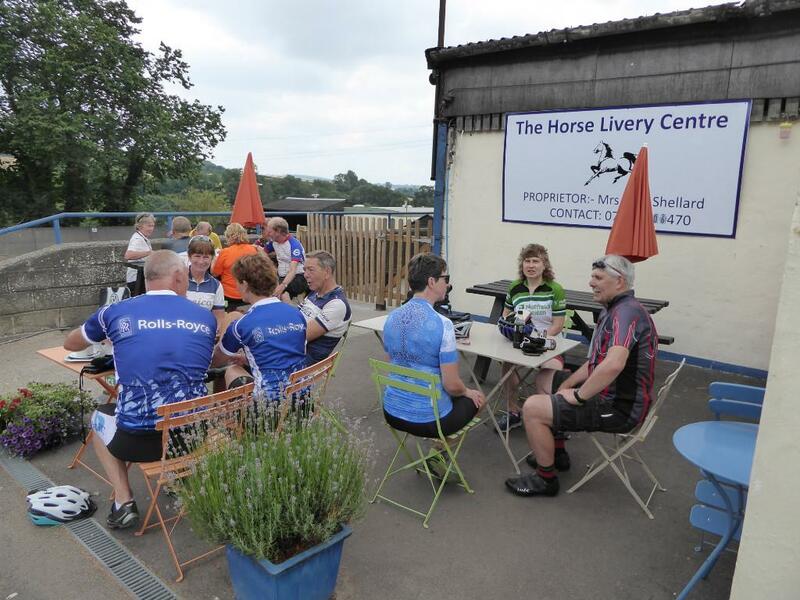 We have a programme of monthly rides starting from various places in the area and a regular monthly ‘ Last Thursday Social’ in one of the areas pubs. Check out the ‘What’s On’ section if you would like to join us. The cycling varies from the flat Somerset Levels to the steep Cotswold Hills. For details of the area covered by the West Country Group click here. 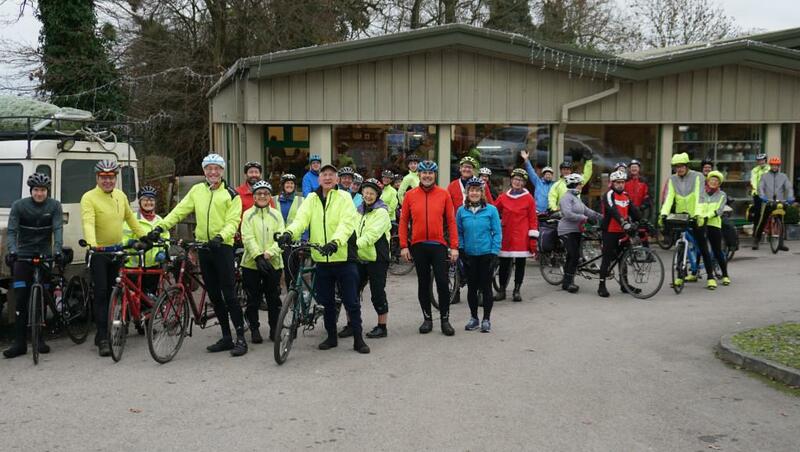 Good turnout for the Christmas lunch ride, pictured leaving from coffee stop at Farmers Table, Tortworth and seated at lunch at The Codrington Arms in Yate. 11 Tandems and 2 solos rode to Salisbury and back with an overnight stay in glorious weather. Others joined on route for sections of the ride.